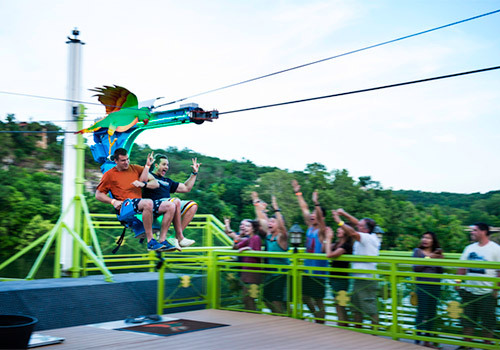 Looking for a thrill in Branson? This unusual zipline crosses Lake Taneycomo at exhilarating speeds. Experience unparalleled views of Downtown Branson and Lake Taneycomo from the comfort of your seat while zooming across the lake. No need for a harness. 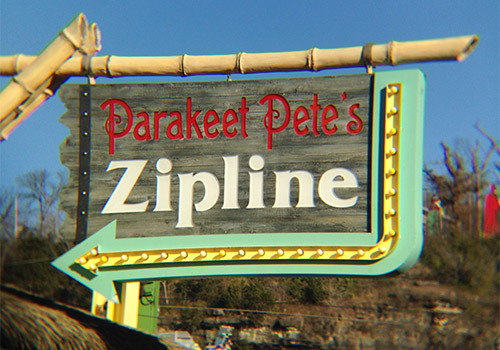 Parakeet Pete’s Zipline uses a proprietary seat system. 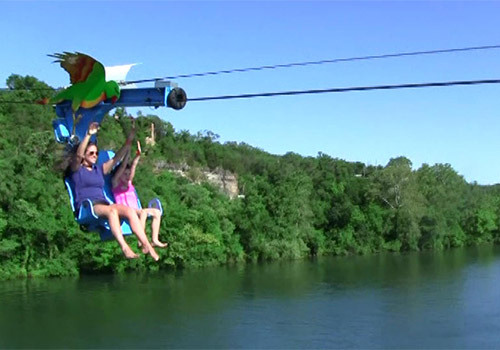 Located in Branson Landing, this zipline is a thrill for all ages! 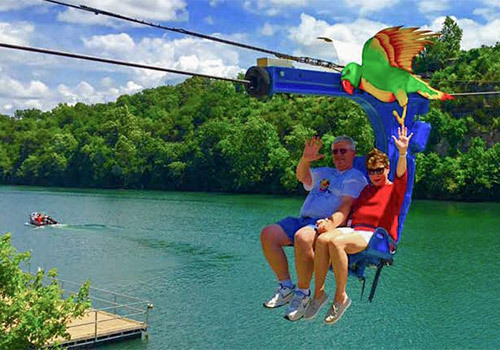 Parakeet Pete's Waterfront Zipline will give you thrills and chills as you soar over Lake Taneycomo to heights near 150 feet. Once across the lake, you will take in spectacular views of downtown Branson and moments later return to the Branson Landing. 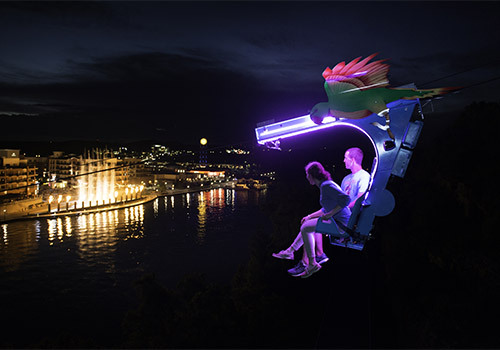 Book the combo pass and experience the Waterfront Zipline and Steampunk Balloon at one great price! Fly to 188 feet on our Steampunk Balloon with 360-degree aerial views of Lake Taneycomo, historic downtown Branson, and the surrounding Ozark Mountains. You'll learn fun facts about our area from one of our knowledgeable and friendly Steampunk Pilots. Our Steampunk Balloon is the only one of it's kind in the world and we are so thrilled to have it with us as a Branson icon! Fun for the entire family, the balloon can hold up to eleven passengers. We are disability friendly and pet-friendly too! 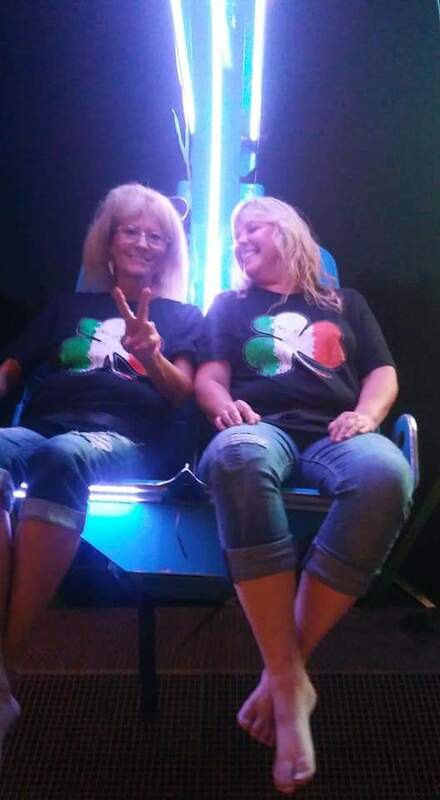 Guests under 42" ride free with a paid adult. 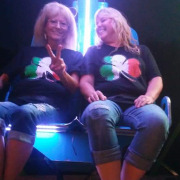 What are the physical limitations for the ride? Maximum combined weight per double chair is 450lbs. Passenger must be at least 107 cm (42") tall and fit securely in the restraint systems. Passengers between 42" and 47" must be accompanied by an adult. Passengers with physical disabilities must be able to be secure in the restraints. All legs must be present to the knee at a minimum. 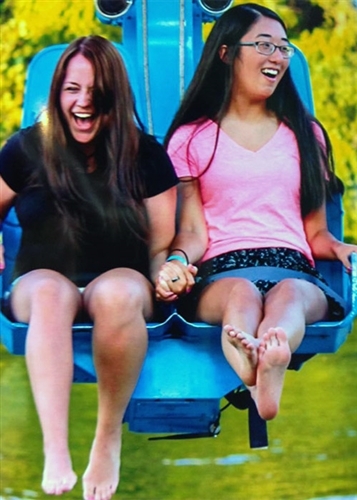 Prosthetics are not allowed on the ride. Guests who do not meet these requirements may not ride. Does the ride have any medical limitations? Persons with neck or back problems. Persons with high blood pressure. Persons who have had recent surgery. Those with any impairment that would prevent normal seating or use of the safety restraints as provided. Persons with any other condition that they may be aware of that may result in injury or complication. 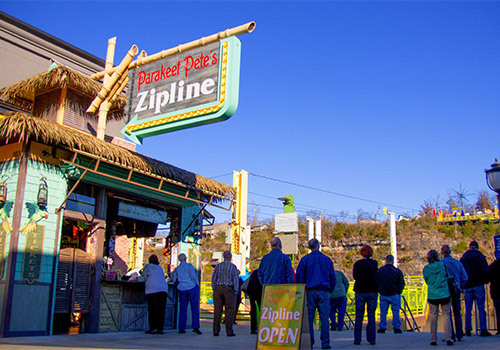 Parakeet Pete’s Zipline is located in Branson Landing next to Famous Dave’s BBQ. The zipline is open 7 days a week from March 1st to December 31st starting at 10:00 am and ending at 9:00 pm.